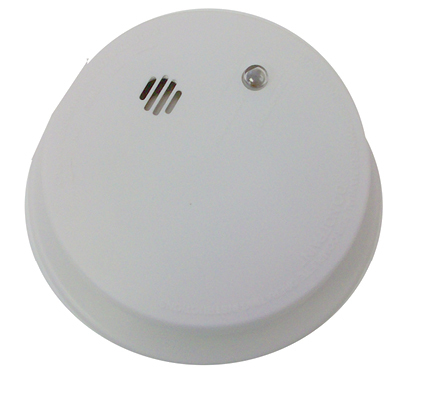 A battery powered smoke alarm that offers easy installation, a test button and a low battery indicator. This alarm features an ionization sensor designed to detect products of combustion using the ionization technique. It contains 0.9 microcurie of Americium 241, a radioactive material. The temperature range is 40°F (4.4°C) to 100°F (37.8°C). Off White, 5-1/4” Diameter, 2” H, 9 Volt Battery Included. U.L. Approved.